New Hatchimals unveiled at Toy Fair. Last year the Hatchimals caused quite a toy craze. Spin Master is expanding the toy line. New Hatchimals were added to the family at this year’s Toy Fair. Spin Master introduced Hatichimals Colleggtibles and Hatchimals Glitter collections. 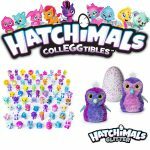 First, Hatchimals Colleggtibles are smaller versions of the Hatchimals. Just like the bigger version, they need a nurturing touch to hatch out of their eggs and into your world. 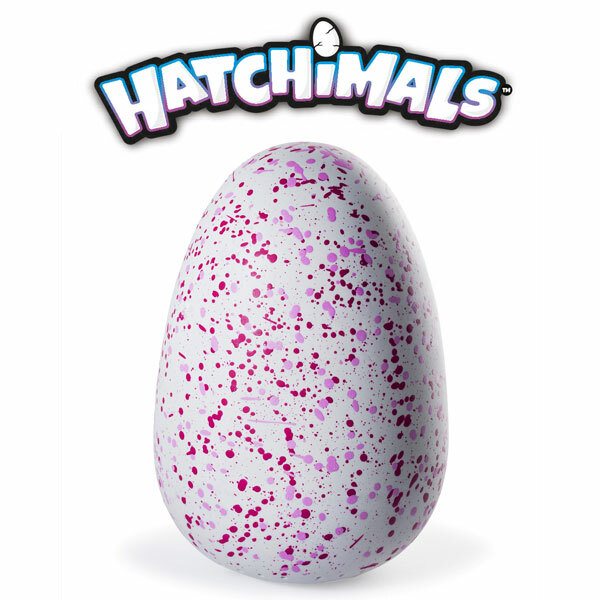 If kids hold the egg and rub its heart and the heart’s color transitions from purple to pink, they know their Hatchimal will hatch. There will be over 70 Hatchimals to collect in this collection. These Hatchimals Colleggtibles feature glittery wings and their prices range from $2.99 – $9.99. Second, the Hatchimals Glitter collection of glittery Pengualas and Draggles made its appearance at the Toy Fair. These animals feature wings and soft fur and their eggs have an appealing shimmer. Each Hatchimals Glitter collection figure will be priced at $59.99. Kids can nurture and raise them and encourage them to hatch from their egg. In other related news, Spin Master officially announced Hatchimals Day as October 6, 2017. This is when they will showcase the newest additions to the Hatchimals family.